Simple blood test could help doctors find cancer. Scientists in Australia have found a unique DNA pattern common to all cancers that's released in the blood and reacts to gold. 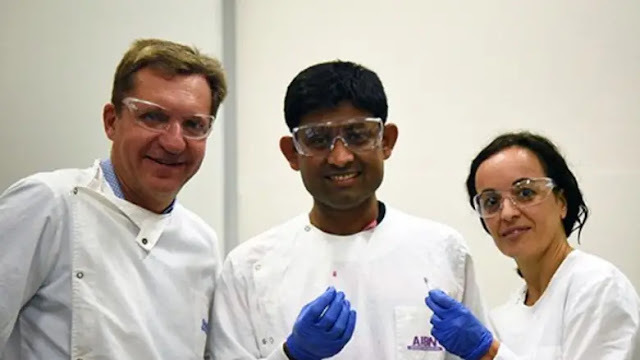 A small team of Queensland scientists is using gold to detect cancer in the hope people will one day be able to scan themselves for the disease on their mobile phone. Researchers at the University of Queensland have discovered a unique DNA nanostructure that appears to be common to all cancers. “This led to the creation of inexpensive and portable detection devices that could eventually be used as a diagnostic tool, possibly with a mobile phone,” said Professor Matt Trau, one of the lead researchers on the project. The tiny molecules that decorate DNA, called methyl groups, are altered dramatically by cancer. “We certainly don't know yet whether it’s the holy grail for all cancer diagnostics but it looks really interesting as an incredibly simple universal marker of cancer, and as an accessible and inexpensive technology that doesn’t require complicated lab-based equipment like DNA sequencing,” Professor Trau said.